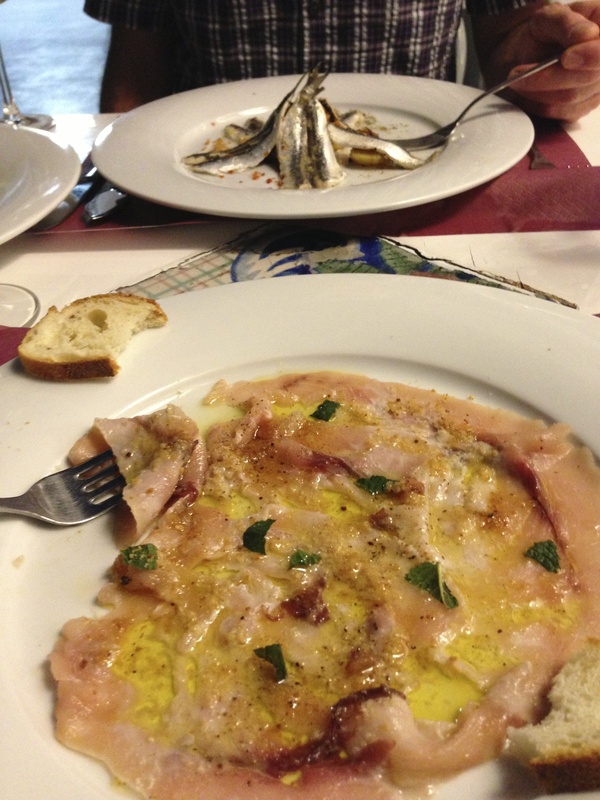 If you go to Italy, go with the flow, especially at mealtime. If you place an order and your server wants you to try something totally different, do it—even if it’s the exact opposite of what you had in mind. They know what’s going on back in the kitchen better than you do, and if they insist on switching things up, it’s because they want you to enjoy your meal! 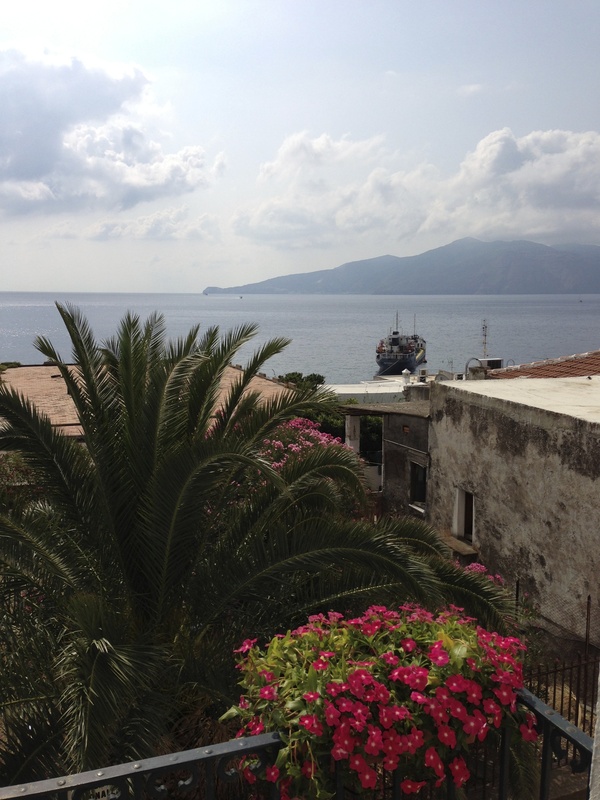 Here’s an example for you: on our way to Salina, we stopped in Milazzo. We bought our tickets for the ferry, and looked around for a decent place to eat near the dock. Across the street was a little cafe with outside tables, so we rolled our bags over and sat down, planning to order some sandwiches. A woman came out and insisted that no, we didn’t want the sandwiches, we should absolutely have the pizza instead, which was much, much more special and better prepared than the sandwiches…and she was right, of course. 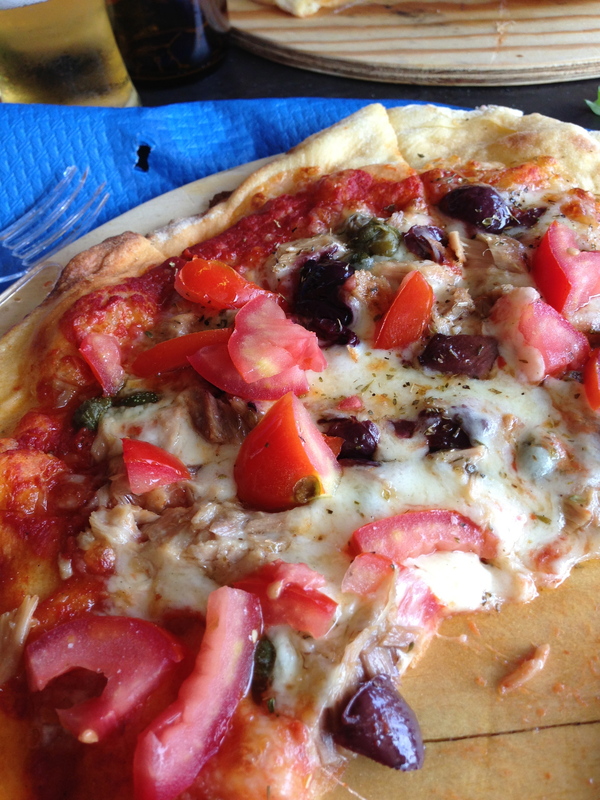 Milazzo pizza. Notice the fork (upper left) with mangled, melted tines. It was that hot. 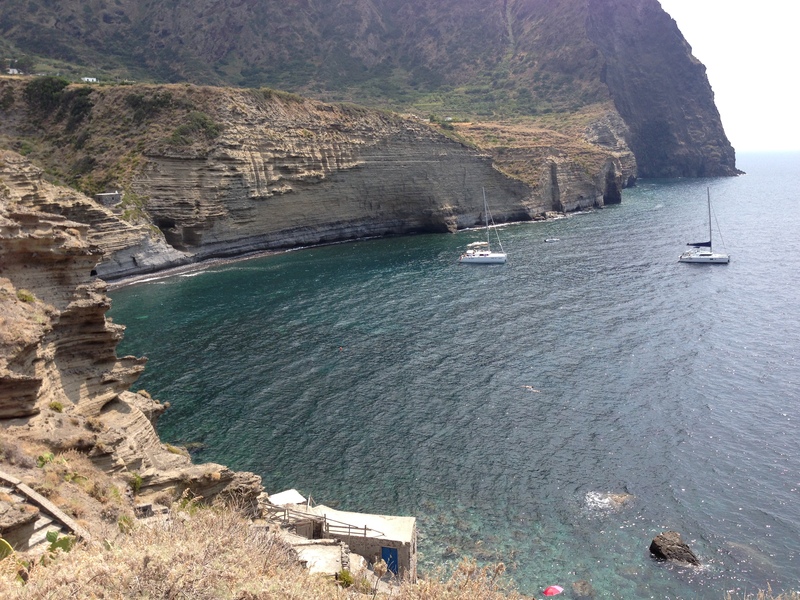 We paid the bill, and hopped on the ferry to Salina, one of the seven Aeolian Islands (Isole Eolie). 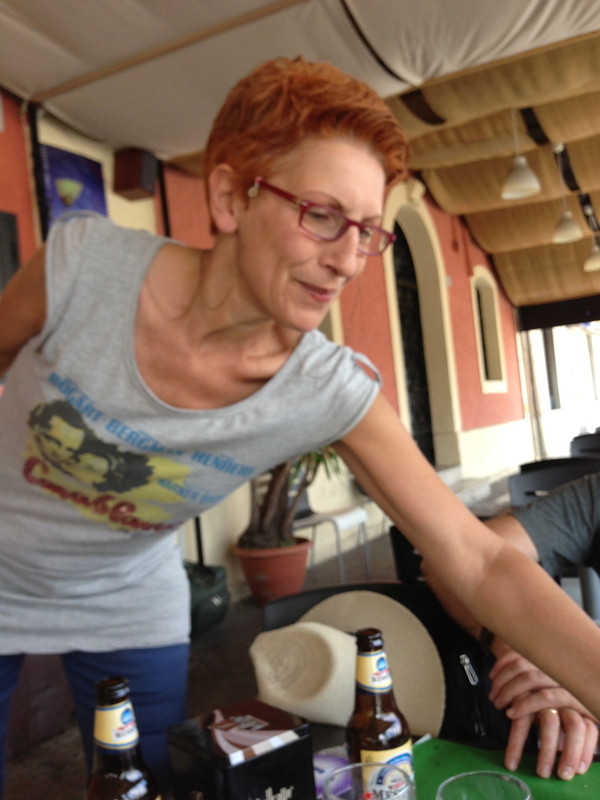 I’ve been to Stromboli, Salina, and Panarea. 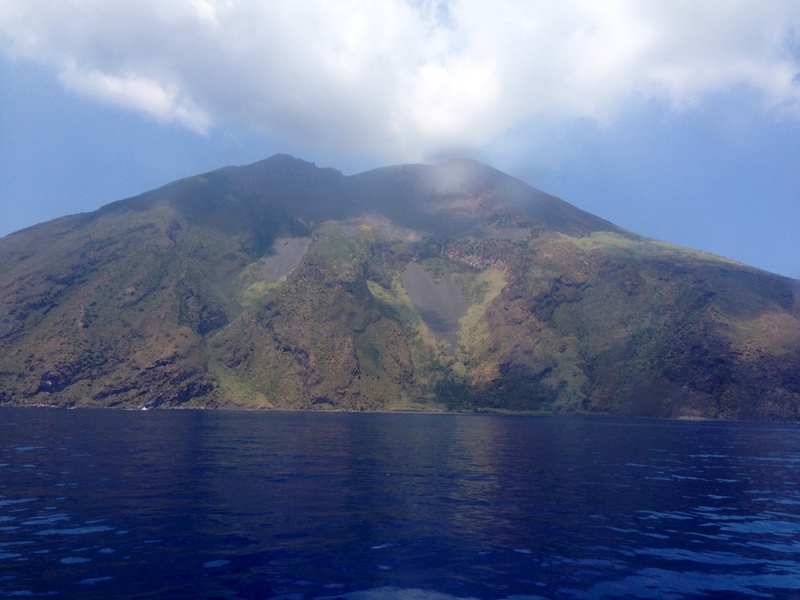 The other islands on my list to visit are Vulcano, Lipari (the biggest of the bunch), Filicudi, and Alicudi. All are unique and very beautiful. Hercules rescuing a lady from getting spanked by an octopus. Plus a lizard. House tile, Salina. One of the neighbors interpreted the scene on that tile for me (minus the spanking part). 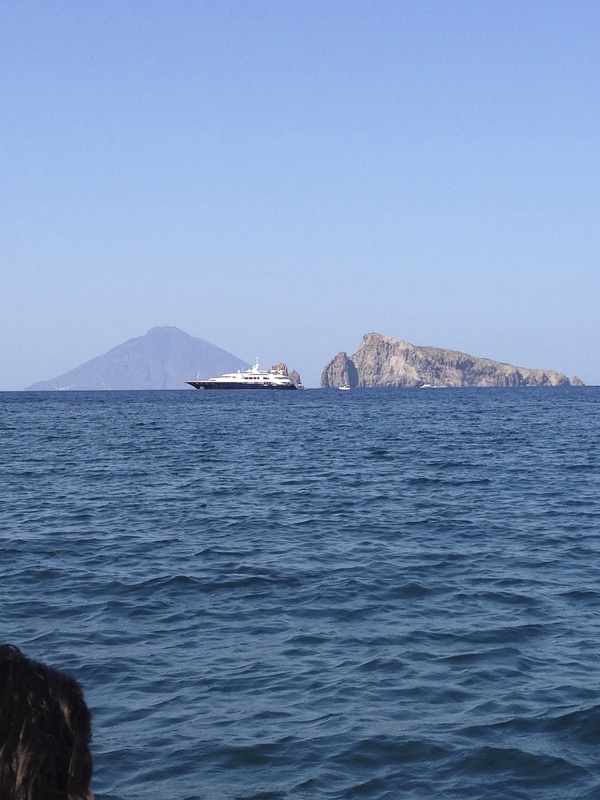 …I can’t resist showing you another photo of Stromboli from the ferry on our way to Salina. Look at how deep navy blue the water is! And now here’s Lipari, as seen from Salina…notice the ship in the background? It’s delivering fresh water to the island, a precious commodity there. There are no fresh water sources on the islands. It’s strictly ships or cisterns. Crazy, right? Just like the rest of Sicily, on the Aeolians growing wild you’ll find fennel, olive trees, caper bushes, blackberries (gelsi in Italian; blackberry-flavored gelato and granita are seasonal treats), and prickly pear cacti (also known as Christmas cacti), the fruit of which will stain your clothes and your fingertips deep fuchsia and are known for their therapeutic properties, in addition to being yummy to eat. heading down to the beach in Pollara, Salina. The film “Il Postino” took place here. Dig in: whole squid with breadcrumbs and caponata. It tasted better than it looks. 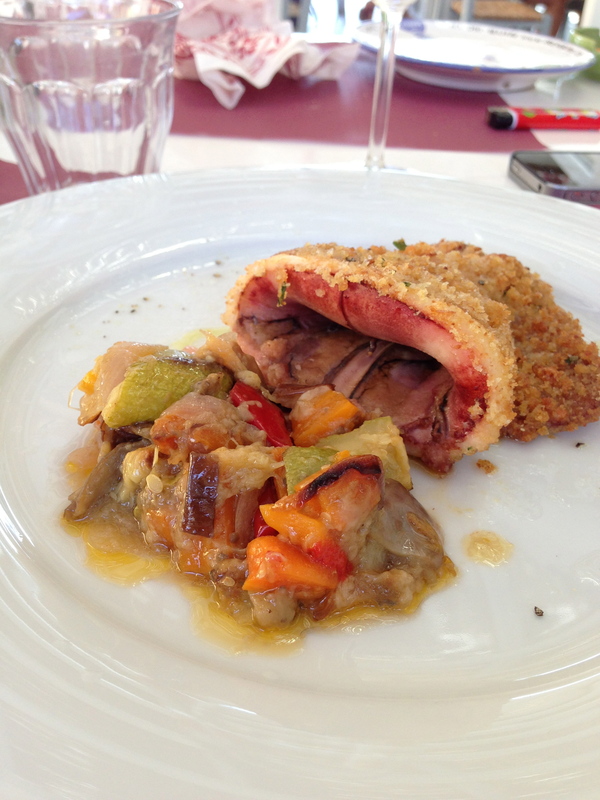 If you go to Salina, splurge and eat a meal or two at ‘nni Lausta. Chances are Alberto will be somewhere much more cosmopolitan and bustling than Salina. But who knows? Maybe not. 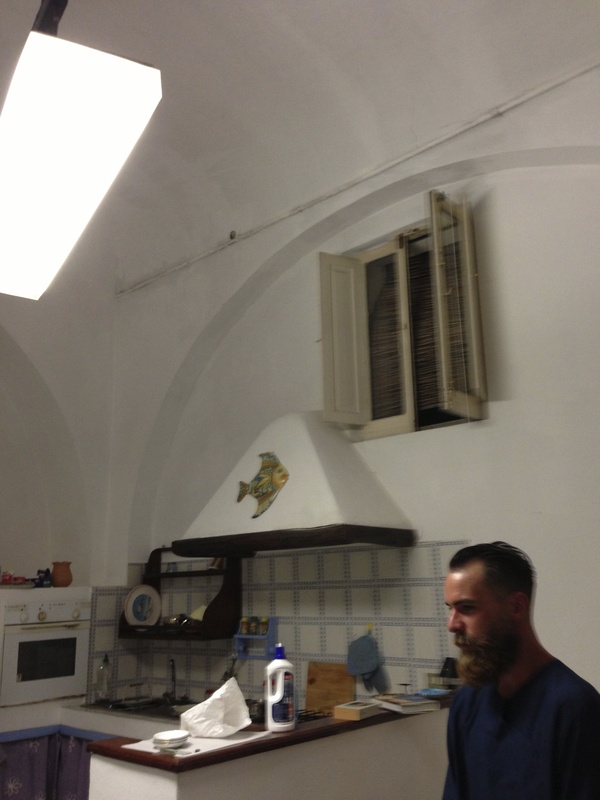 Alberto, if you’re reading this, please come visit us soon…vieni a trovarci presto, per favore! 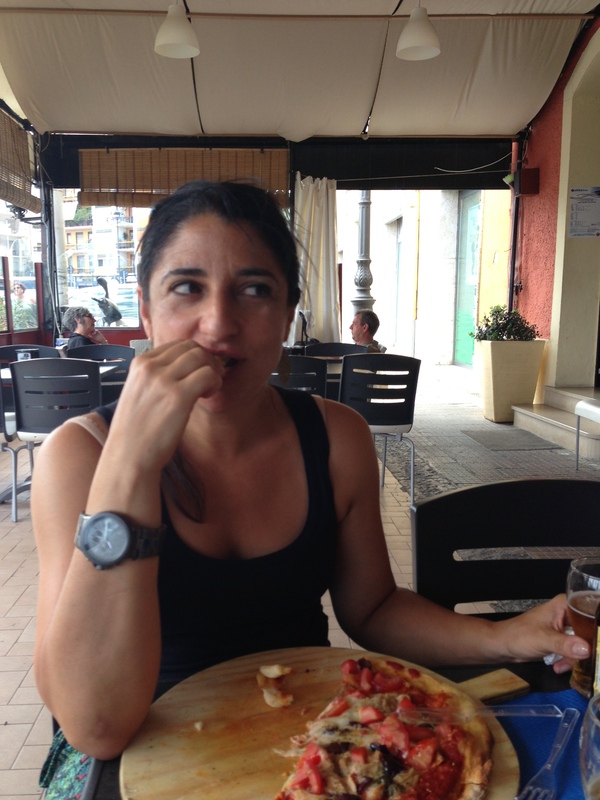 One does not go to Sicily and simply order sandwiches! 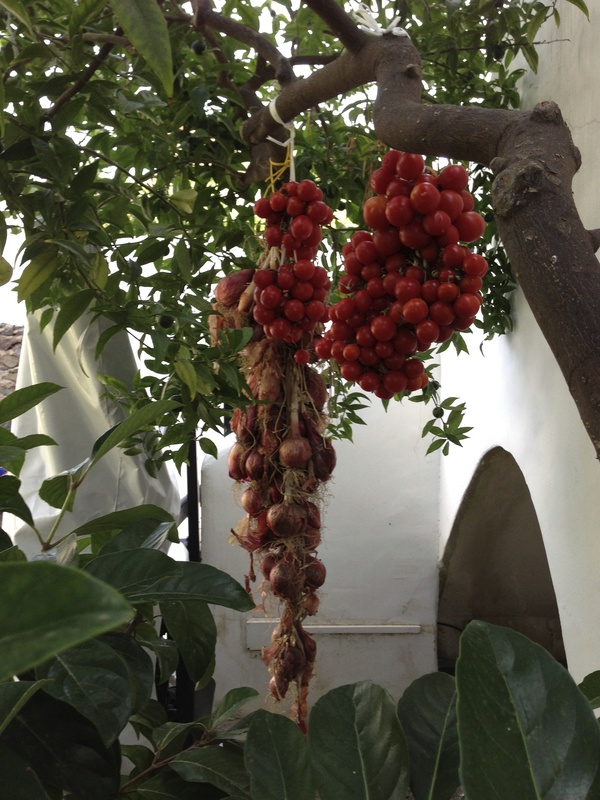 The one thing I admire about Europeans in general is their expertise in growing produce (ex tomatoes and onions). But more than the food you feature in this blog it’s the geographical beauty of the places you show that entice me. 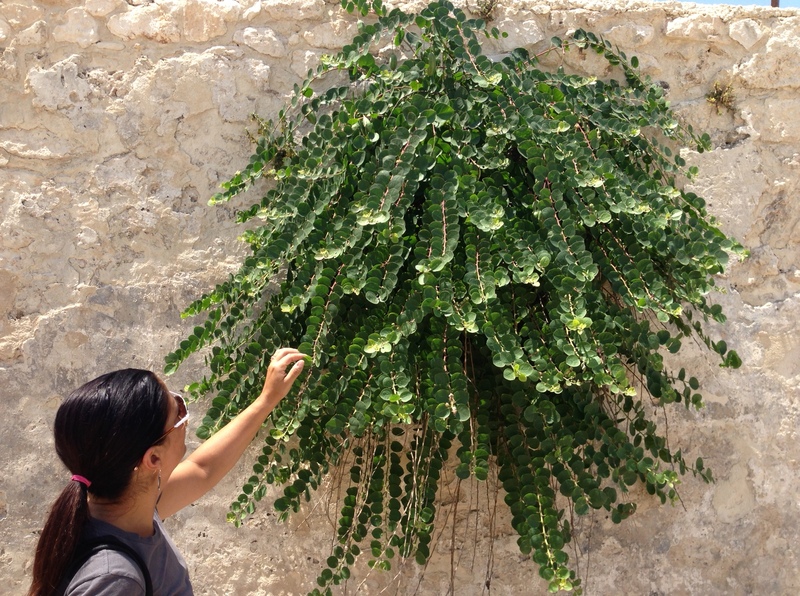 Oh to live on Salina in a villa overlooking the ocean — I could not help but write that novel I always wanted to write. 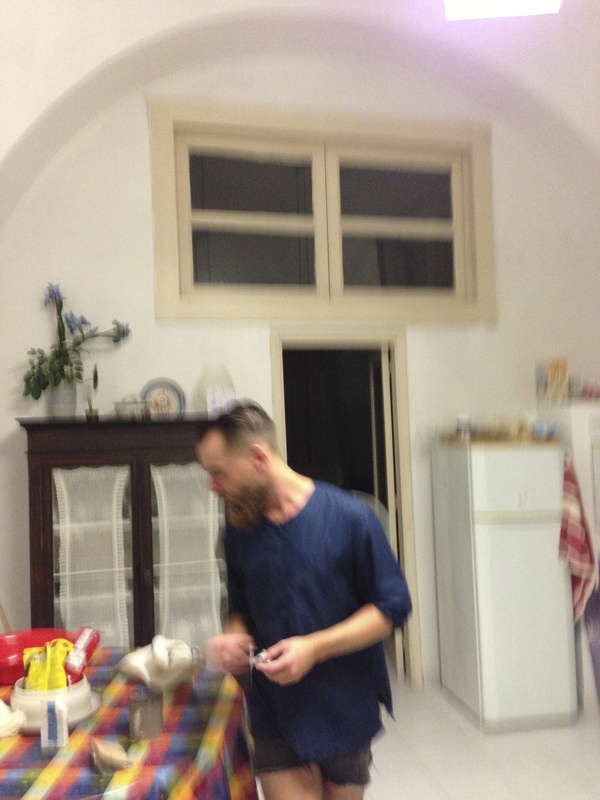 And an expresso made by Alberto — what a joy!